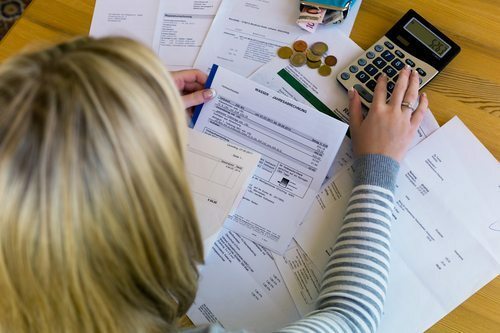 How Do You Prepare Your Budget for Bankruptcy Filing? How Do You Prepare Your Budget for Bankruptcy Filing? In a Chapter 13 bankruptcy, you must submit a budget to the court in order to determine what your disposable income is and what you may be able to pay the court during your repayment plan. If you’ve not ever budgeted, or have tried unsuccessfully to budget, coming up with one before bankruptcy can be challenging. Here’s what you need to know. The bankruptcy court will often have more allowances regarding budgeting than someone in financial distress will. For example, the court may consider a higher clothing allowance than what you’re used to spending. Many people will assume that they want their budget to be overestimated in some areas so they have a little bit of extra spending money if they don’t end up spending the allotted amount on, for example, clothing. While this seems like a good idea to have, it’s important to be cautious about going overboard with this tactic. It’s important to have enough disposable income left over that you’ll be able to make reasonable bankruptcy payments. If you don’t, you risk the court denying your case. When you’re going into bankruptcy, it’s important to know exactly what you’re spending. Some people do this naturally, while it is more difficult for others. Regardless, it’s something that has to be done in order to help you get out of financial debt successfully and avoid debt going forward. You’ll want to set your budget to reflect literally everything you spend in a month’s time. You’re not just budgeting for rent and utilities — you’re also budgeting for your prescription medications and health insurance copay each month, how much gas you use each month, what over the counter medications you use per month, and more. At the store, consider separating your items by budget category (e.g. household, toiletries, grocery) and make separate transactions for each. Then, track your spending over a couple of months to get an idea of what you spend on average for necessities. Deciding to declare bankruptcy isn’t easy, but it’s often the best solution for many families to get out of debt. If you have questions about filing for bankruptcy and how to prepare your budget before bankruptcy, contact the Law Firm of D.C. Higginbotham today by calling (904) 354-6604 for a free consultation to discuss your unique financial needs.